Today: Tips and tricks on how to differentiate, use, and store miso. 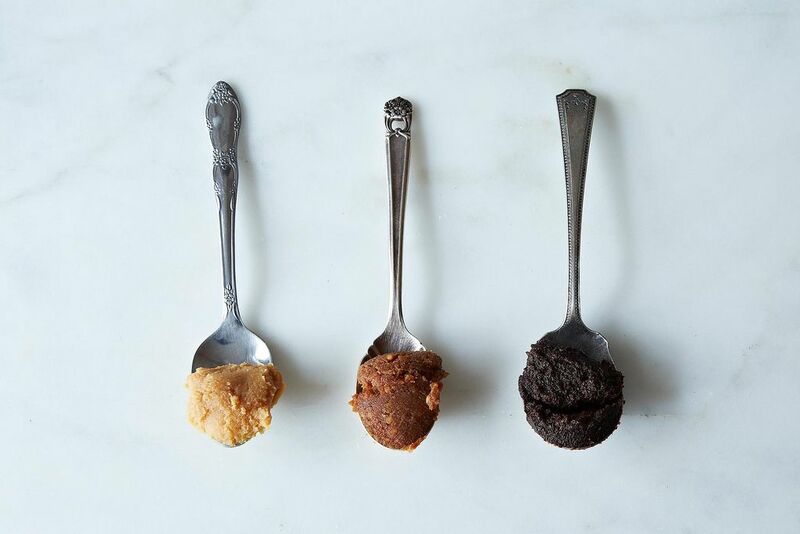 Miso paste is essentially a mixture of cooked soybeans, a fermenting agent, some salt, and water. Think of miso as similar to beer; ranging from ivory to a deep chesnut, the taste can vary from mild to full-bodied and rich. There are many kinds of miso out there. A general rule of thumb: richness intensifies as the color gets darker. White miso, one of the more familiar types of miso, has rice as its main ingredient and a small percentage of soybeans. 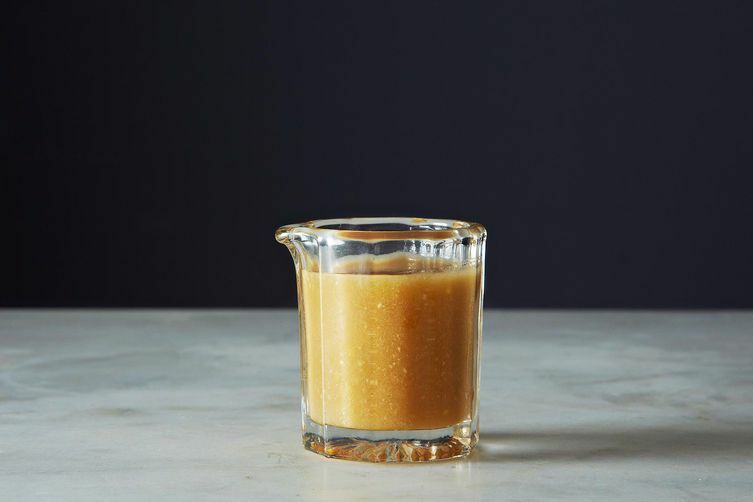 Its fermentation time is also the shortest, making it a mild and slightly-sweet miso -- perfect for tasty dressings and light marinades. Yellow miso is the middle ground miso -- not too strong and not too mild, this type is fermented with mostly barley and a small amount of rice, and does well with almost everything, including soups, marinades and glazes. Red miso has been fermented the longest, and can range from a red to a deep brown color. The flavor is concentrated and intense -- a little goes a long way. Use this miso with heartier dishes and meaty, sturdy vegetables like eggplant and asparagus. Miso can be whisked into dressing, made into soup, drizzled on kale, blended into butter, and even incorporated into caramel sauce -- the options are endless. Very rarely will you use miso alone because of its high salt content and potent flavor. Think of it as a piece rather than a whole, and keep in mind -- miso doesn't blend seamlessly into oil, so a blender is your best friend if you prefer an extra smooth consistency. Avoid boiling miso directly, which is said to "spoil" it, killing some of the aroma and flavor (this goes with melting it, too). If you are adding miso to a simmering liquid, gradually add the paste a little at a time and continue stirring, keeping the heat at a low temperature. 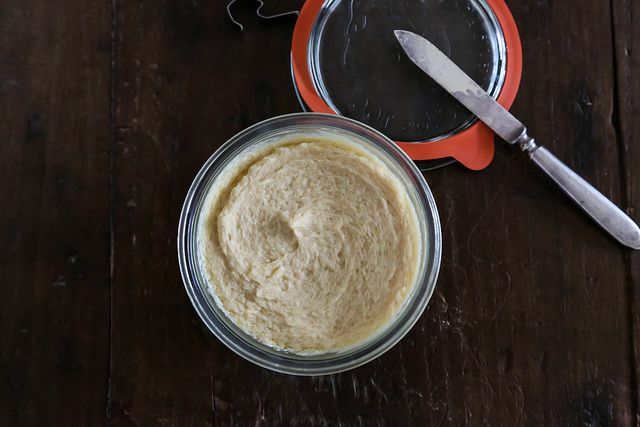 Like cheese, miso does best when stored properly. After opening, the surface should be covered with plastic wrap, or the seal from the package should be touching the surface. For dinner tonight: Start with a no-frills miso dressing. Do you have any tips or tricks for using miso? What's your favorite kind? Let us know in the comments! This is not a comment, but a question! I was wondering if this "miso" is what people use to dip meats, vegetables etc. to cook a bit and eat? Or would that be some type of Chinese soup?? I made the ranch w/the brown. Tangy and tasty. I will be experimenting w/this recipe. I added dill, which the recipe did not call for, but I thought...ranch and all...lesson learned is dill+miso=not so much. It was still a nice dip for crudite, however. White miso here is japan is almost like mashed beans with salt added. It is that un-misolike. The red will be much stronger and saltier. Add less of it. I keep both the 3 year barley and South River's white around all the time, and value each for its own special qualities. The 3 year is mellow and rich, and so perhaps a bit heavy as a substitute for a "ranch" style dressing. That said, I'd certainly give it a try. It might make a fine - stronger, richer - variant. Definitely less salt. I'm excited to give it a shot! and I really should pay more attention because I have a jar of their brown in there, which is milder and would probably be great w/this. I am a crazy miso fan, and available locally to me is South River three year barley, which I'd say is somewhere between a yellow and a red...? It's darker than a yellow but nowhere near the dark red/brown varieties. I'd like to try a new recipe, a non-dairy ranch dip that calls for white. Can I sub what I have and go by taste? I would assume that would work but hoped for some insight here. Thanks! that sounds like it could work! i might dial down on the salt (if it's included) because miso can be quite salty p.s. that dressing sounds delicious. Is ordering some online an option for you? Miso is a live culture food. The indication not to boil miso is to preserve the living enzymes. I have some tempeh in the oven with the tahini/miso mixture right now!! Thanks to all who have shared. I really like the simple- oh I can remember that! - tips. This is great info for someone who knew next to nothing about it. Here are some miso links! How to make miso & use miso which includes hundreds of recipes. There is a paperback and Kindle version, I understand. People who make their own miso, which is not difficult, will often NOT keep it in the refrigerator. But it will continue fermenting and get darker and darker and darker. Basically miso is cooked ground soybeans and salt. Some things are added to certain kinds of miso, rice or wheat, both of which have to be cooked first. That changes the flavor significantly. The lighter, white miso, really should be used as soon as possible even if you keep it in the refrigerator. Japanese people will often add a teaspoon or more of miso straight into western dishes like stews or casseroles. Partly in place of salt and also to add a kind of Japanese flavor. The flavor change is not strong but it is interesting. I often make a savory oatmeal in the morning using Japanese katsuoboshi stock instead of water and miso. It's a really good variation to the sweet oatmeal we often have. I wouldn't add milk to this at all. It's more like an oatmeal miso soup. The most important reason for NOT boiling live miso or heating it to high temperatures is that it kills the beneficial lactobacilli bacteria, a probiotic, and digestive enzymes. It is best to wait until the boiled liquid is off the burner and into the bowl and then stir in the miso. This preserves the benefits. The less heat the more the benefits. I make oat milk from hatcho (dark) miso. It has been aged the longest and has the most benefits. I cook 2 cups of oatmeal per package directions, let it cool to warm, add 1 to 2 tablespoons of hatcho miso (or any live, unpasteurized miso), stir until it is dissolved well, let it sit on the counter overnight and strain out the solids in the morning. Miso enzymes will liquify the oatmeal mixture and the liquid can be refrigerated for a few days. None of the miso taste remains and it can be sweetened with a sweetener of choice. The fiber that has been strained out can be used in baking bread, making soups, or stews. Do you have any information on non-soy miso for those of us with a soy allergy. Types and sources. Thank you. I wasn't having any success tracking it down. Will ask our local health food store to order it. Equal parts miso/tahini, water to thin a bit, add chopped scallions and cover over tofu slices. Bake about 15-20 mins. Snacky and tasty. That sounds delicious - trying it today! Missing the "why." Why Miso? What does it add/how do we benefit? My grandmother taught me to thoroughly blend a scoop of miso to 1-2 scoops warm or hot water (or broth, dashi, etc. ), and then mixing this slurry to the larger pot, whether it's soup or something else. This is a lot faster than gradually dissolving the paste directly into the pot! Also, mixing such a slurry with mirin and a little sugar and then brushing it on eggplant halves before broiling to fall-apart softness is absolutely delicious. I've got 2 different kinds in my frig and I never quite know what to do with them! Looking forward to seeing some more ideas!! How long does miso last once it's been opened? Properly stored and kept in the fridge, miso can last quite awhile. I use the lighter miso within 9 months-- but if you have a dark red miso it can last for up to a year! Just make sure the container is airtight. I love mixing miso+butter, spreading it on cauliflower slices and roasting...SO delicious!